Figure 1: Pressure controlled heat pipe calibrating furnace and controls. Lancaster, PA, November 5, 2015 – Advanced Cooling Technologies, Inc. (ACT), Lancaster, PA., recently won a new order to deliver two pressure controlled heat pipe (PCHP) calibrators to the National Physical Laboratory (located in the United Kingdom). 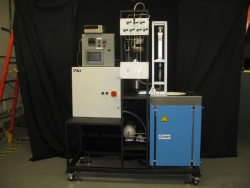 One of the PCHP calibrators will feature a sodium heat pipe with the ability to operate between 700°C and 1,100°C and maintain a temperature stability of +/-5mK. The other PCHP calibrators will feature a potassium heat pipe with the ability to operate between 400°C and 900°C and also maintain a temperature stability of +/-5mK. The heat pipes each feature 5 thermowells located within the vapor space of the heat pipe along with a blackbody cavity. The transient stability of the heat pipe is maintained by actively controlling the pressure of the heat pipe’s vapor space, ensuring a stable saturation temperature within the heat pipe. The pressure is manipulated by changing the effective volume of the heat pipe, simply by moving a sealed bellows. ACT’s custom products group has supplied heat pipes as isothermal furnaces liners and blackbody cavities to the calibration industry since the company’s inception. The mature product line has not benefited from any technology advancements over the years. The pressure controlled heat pipe technology was initially developed on a NASA Goddard Phase II Small Business Innovative Research (SBIR) program several years ago, demonstrating temperature stability in a low-temperature spacecraft PCHP under varying power and sink conditions. This is the second PCHP order in less than a year. 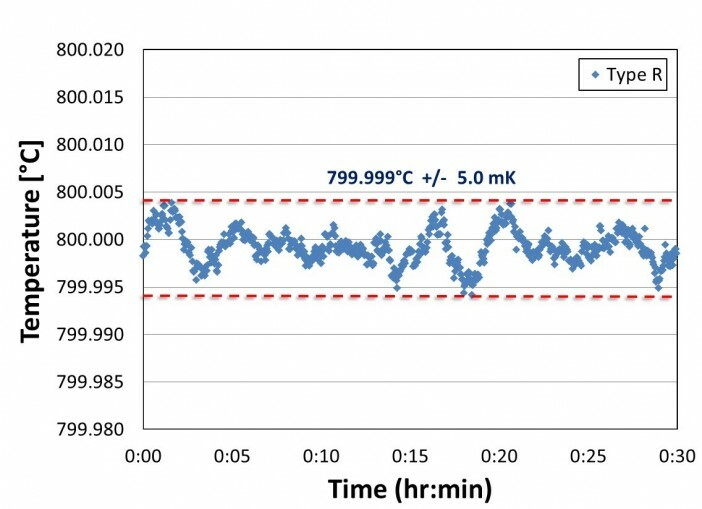 Figure 2: Temperature stability data from PCHP operating near 800°C.